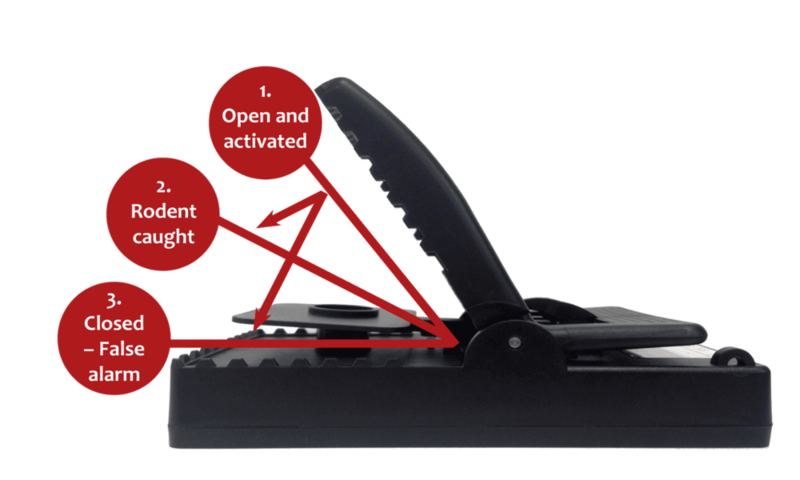 FIRSTTHINGSFIRST: BUILDING A BETTER "MOUSE TRAP"
TrapMe is the first snap trap remotely telling you with certainty if there is a catch - or not. • Open and activated: TrapMe register and sends signal to TrapMe Cloud Portal. • Rodent caught: TrapMe register and sends signal to TrapMe Cloud Portal. • Closed – False alarm: TrapMe register and sends signal to TrapMe Cloud Portal. 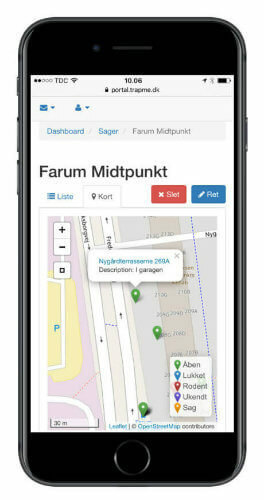 Now pest control operators can save mileage of their field technicians and create an optimized work flow. TrapMe is built with the rodent professional in mind. This ‘plug and play’ devices are made to be easily setup. No tools or technological expertise needed – we focus on the tech, you focus on your business. Simply set, open, and your trap is now connected to the cloud. The user-friendly online Portal is accessible either comfortably on an office laptop or on-the-go via the tablet or smartphone. The user has complete control from a single trap to thousands of traps with various report and alarm setups. TrapMe roams to get the best signal in 30+ countries (See our global IOT connectivity plan).We use simWISE embedded SIM modules. The software solutions ensures pest controllers need not worry about warehousing, swapping, and maintaining physical SIMs. TrapMe is battery powered, powering the device for up to 3 years using one of our replaceable batteries. TrapMe can be placed anywhere where with cellular coverage internationally with our global IoT connectivity service. The trap is designed to fit into industry-standard rodent bait boxes. The TrapMe Portal gives you both historical and live data. You can see the status of our overall network, or drill-down on a case, customer, or trap basis. All data is stored on a secure cloud server only accessible with your unique username and password. The portal is available in various local languages. 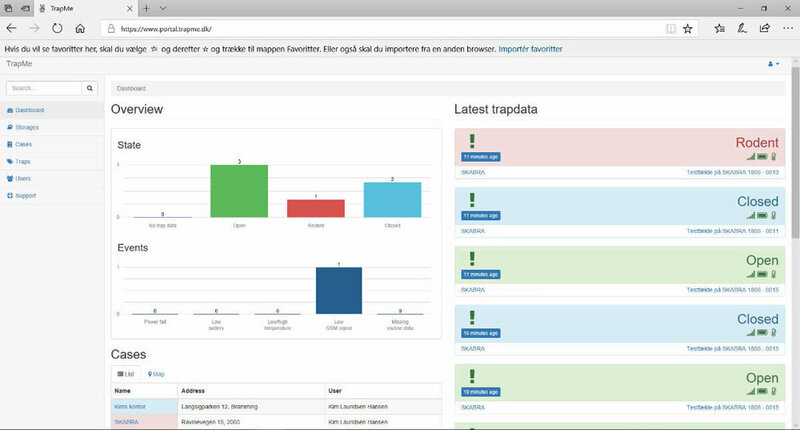 TrapMe users get access to an easy and manageable website which offers tools to manage and observe the traps and their data. The website will be updated live as traps send new data. The user is notified immediately via the website. The website setup is user friendly. The website is structured for users to manage a large number of traps easily through the page´s virtual site map. Traps can be placed and observed without loss of clarity – you’ll never forget where another one has gone. All relevant information such as pictures, placement descriptions, trap ID etc. can be added to each trap. Data reports on single or multiple traps can be printed. All data is saved and available to the user. For larger enterprises, the website can manage multiple user levels for the management of several technicians, and with full view of the business’s traps.